Inner-City Elites: This term keeps coming up, and I’m curious exactly who it refers to. 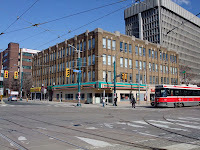 I live downtown, near the College and Spadina intersection; a picturesque area which boasts a Burger King, the Centre for Addiction and Mental Heath, a Christian Mission as well as the infamous Comfort Zone nightclub. So I hear a lot of downtown residents screaming at night under my window. I'm not complaining. 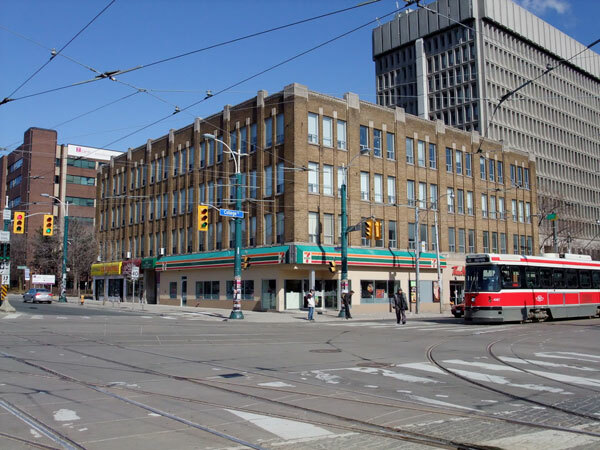 It's a remarkably convenient location, close to streetcars and subways. I bike to my job as an arts worker, which pays the bills – just barely. Most of my friends are in a similar situation, many are artists who live gig to gig and never know where their next month’s rent is going to come from. We are people who have chosen a lower income, lower budget lifestyle that involves staying within a small core of the city and helping to create the art, theatre, music and dance that Toronto uses to sell itself to the world. But who else lives downtown? I also live near the U of T, and there are a lot of people living around me who work there. Some are administrators, some are librarians, some are maintenance workers. And some are professors - the people whom we hope will educate our children. You may think of them as "elitist". You may have a picture in your mind of a grey-haired man in a corduroy jacket with elbow patches, who enjoys wine and cigars. But that’s not exactly the reality. One of my friends from my graduating class in high school teaches at U of T and she lives down the alley from me, just barely scraping by on a junior professor's salary, while also writing a book about the economy. Oh, and I almost forgot! You know who else lives around downtown university campuses? Students. Yes, the lesser known sect of 18 - 24 year old elitists, most of whom work two jobs to afford their apartments, are $20,000 in debt for their tuition, and eat pizza every night. Yep, THOSE elitists. A lot of people who work and own the stores we shop in live downtown. I’m not talking about Eaton’s Centre here. I’m talking about the people who run the small operations, the restaurants and cafes and clothing stores that everyone takes their out-of-town friends to. The little places that we have “discovered” that have the best sushi in Toronto, or the best selection of beers on tap, or the cutest dress for your cousin’s wedding next month. The people who run these establishments usually live nearby, if not above their stores. Their income is based on how many people pass through their doors on any given month. In December, they’re laughing. In January, they’re fucked. Those are some of the major demographics who live downtown. I would describe none of them as “elite”. In fact, many of them live below the poverty line. Which brings me back to that first group I mentioned, the group that I hear trumpeting their values under my window at all hours of the day and night. The people who can’t produce, at the polling booth, identification with their photo, address and signature. The people who make use of the shelters and services that our new Mayor-elect won’t have in his backyard. The homeless population of Toronto. So I’m not sure who exactly the phrase “downtown elite” refers to. Maybe it refers not to a demographic, but to a system of values. People who enjoy living in a multi-cultural society? People who refuse to sit in traffic for three hours a day? People who support small businesses instead of buying all their groceries, clothing and housewares at Wal-Mart? I don't know what it means, all I know is that tomorrow I have to get up and bike to work. And that the very act of doing that will now make me feel like an outlaw, not an elitist.